While some of the most highly anticipated automotive shows of the season typically fall in the beginning of the year, we at Mike Smith Autoplex-German Imports, Inc., can’t wait to see what Mercedes-Benz has in store at the Paris Auto Show. While the buzzed about automotive show won’t take place until October, you’re about to see exactly why we’re so eager. 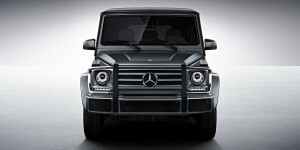 What are you most excited about when it comes to Mercedes-Benz rumored new model?